Arduino is an amazing platform for building interactive hardware projects. 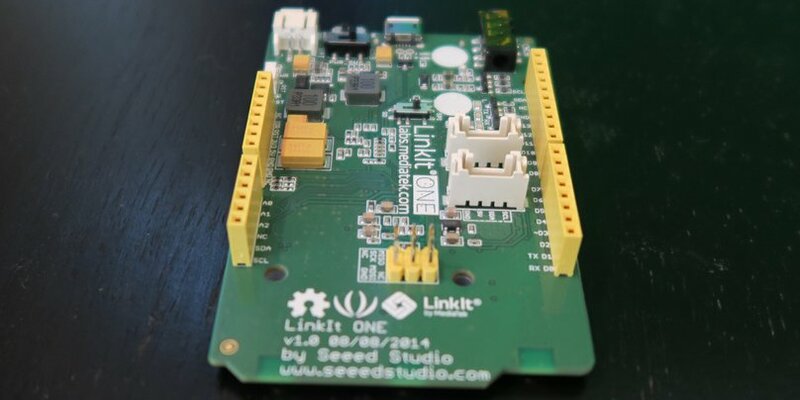 In the next ten minutes we’ll get our first program running on the SeeedStudio LinkIt ONE development board. If you’re coming to SIGNAL (you are coming to SIGNAL right? – use promo code BSCHOOLEY20 for 20% off your ticket) you’ll be receiving a LinkIt ONE in the Hackpack we’re giving to every attendee. Stop by the Hackpack station and we’ll help you get it up and running. 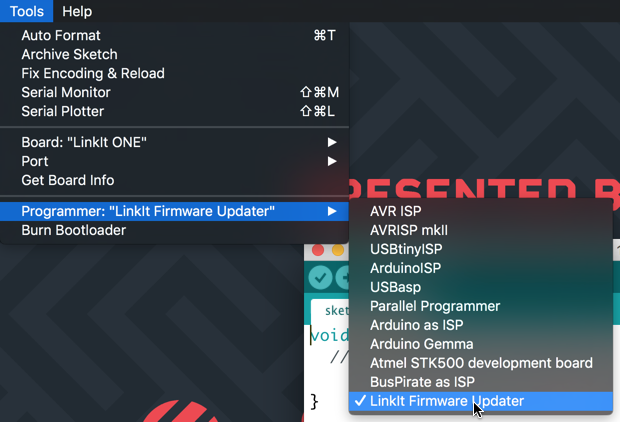 What is the LinkIT ONE? 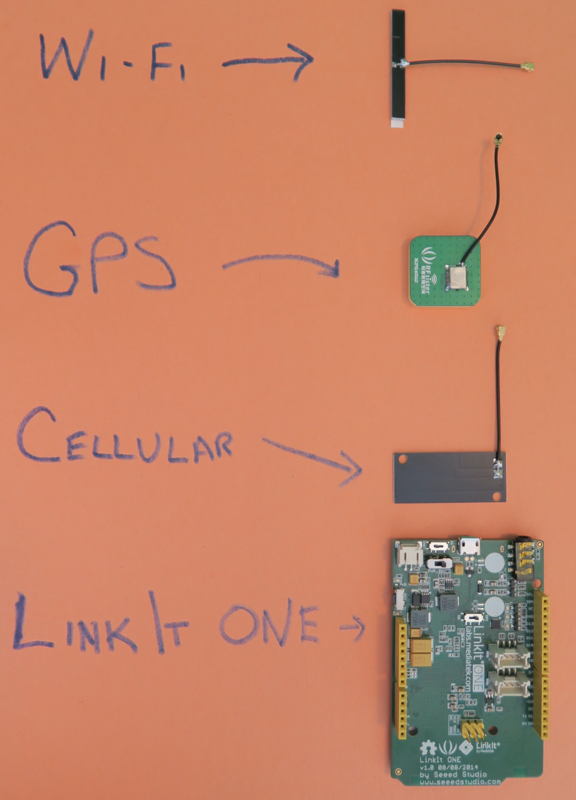 We won’t be using the Wi-Fi, cellular or GPS in this tutorial but with this setup you’ll be ready to go for any hacking you do involving these capabilities. Now that we have the hardware sorted out, let’s install the software we need to build an app. 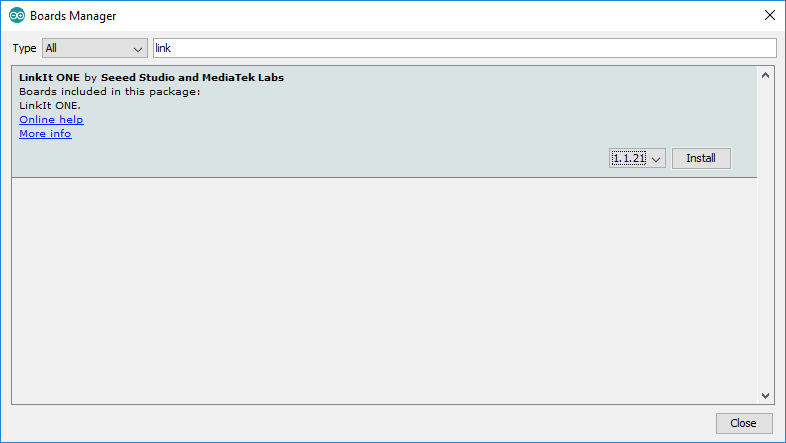 Linux: MediaTek does not offer support for Linux. 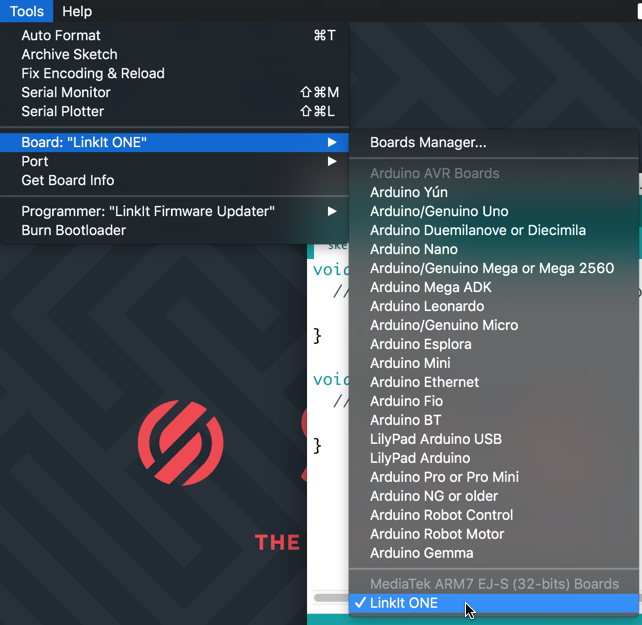 For the super ambitious, here’s the installation guide for the Arduino IDE. 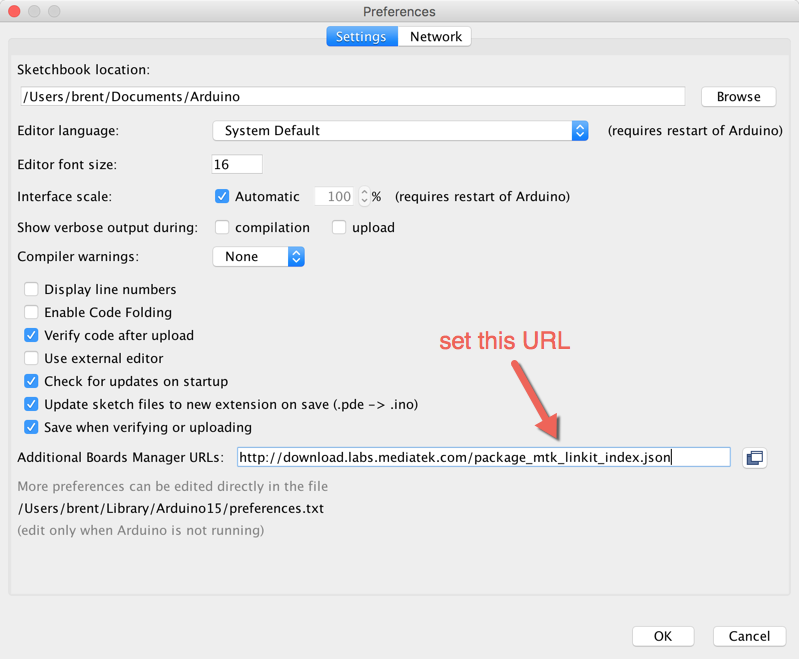 Then you’ll want to follow this Instructables post if you want to get the LinkIt ONE working on Linux. MediaTek says to reboot at this point (and several other points) but I’ve found it unnecessary during my installation. Your mileage may vary. 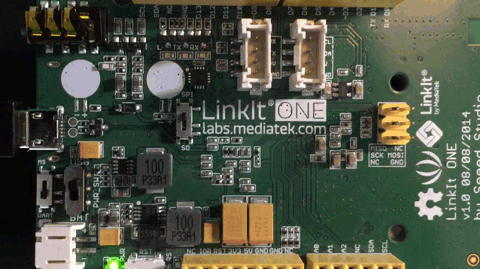 The last step in our installation phase is installing the MediaTek LinkIt ONE SDK. This step is done entirely in the Arduino IDE so open that now. In the IDE, open the Preferences dialog. On Windows this is in the File menu. On the Mac it is under the Arduino menu item. The dialogs in Arduino IDE look almost identical between Windows and Mac so I’ll just show the Mac version in the following screenshots. Once you have that switch set correctly, plug the LinkIt ONE into your computer using a micro USB cable. 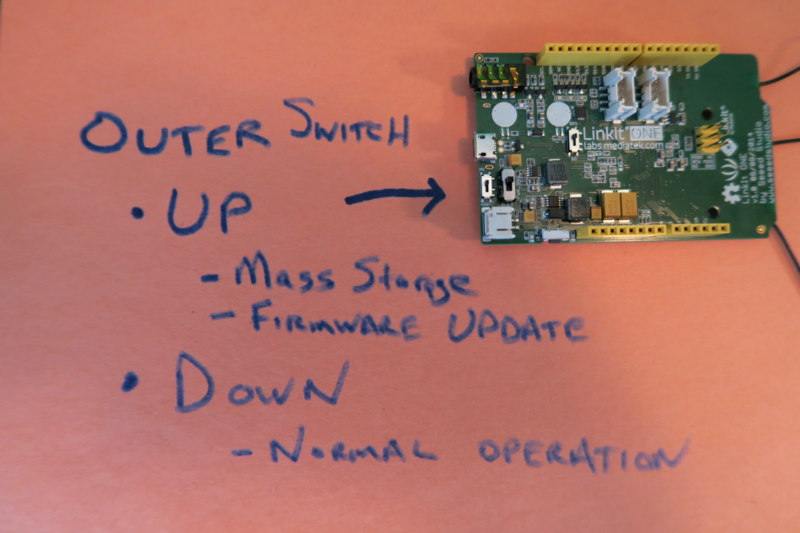 When it’s done, flip the outer switch back to the down position for normal operation mode. That’s all for configuration. Let’s write our first Arduino program for the LinkIt ONE. Arduino programs, referred to as Sketches with a .ino file extension, are written using two functions: setup() and loop(). The setup function is used to, as you probably guessed, set up anything that needs to be configured before the main program runs. This is where you’d configure your input and output pins, set up network connectivity, initialize values, etc. The loop function is the main program and it repeats indefinitely. 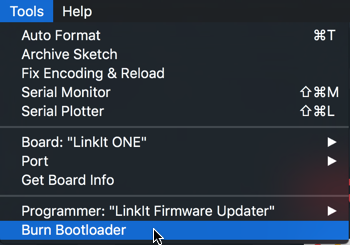 Click the Upload button to compile and load your Sketch onto the LinkIt ONE. If everything is configured correctly the Sketch will start running on the board and you should see the LED blink off and on. 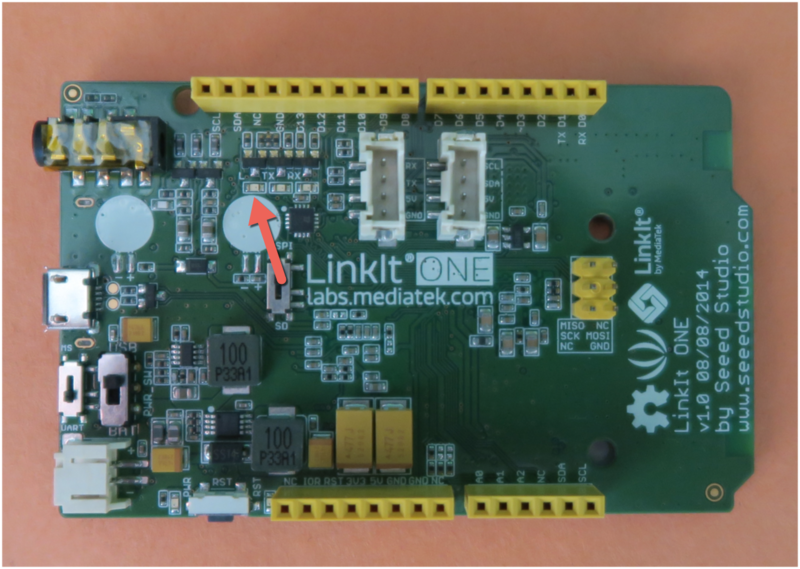 Congratulations on writing your first program on the LinkIt ONE! 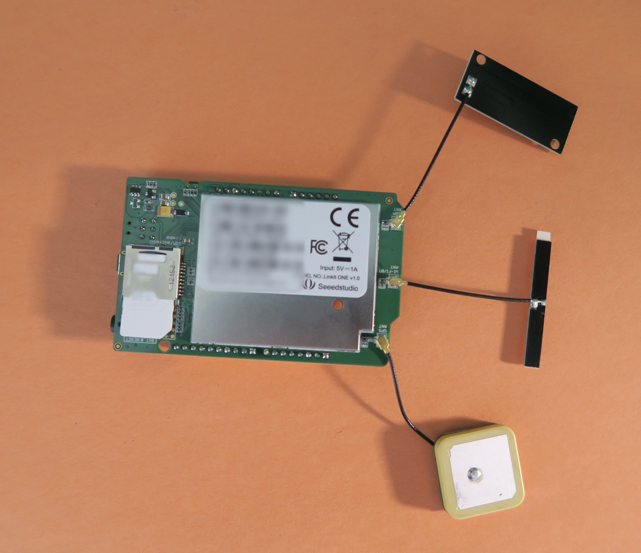 Get some Grove sensors (like the accelerometer, touch sensor, temperature sensor, etc.) and program something cool with them. There’s a starter kit on Amazon that has a bunch of sensors to try out. I’m really excited to see what you build with this device. If you’re coming to SIGNAL you’ll be receiving one of these devices. Come say hi at the Hackpack station and let’s talk about what you might build with it. If you have any questions or comments you can find me on Twitter @brentschooley or email me at brent@twilio.com.